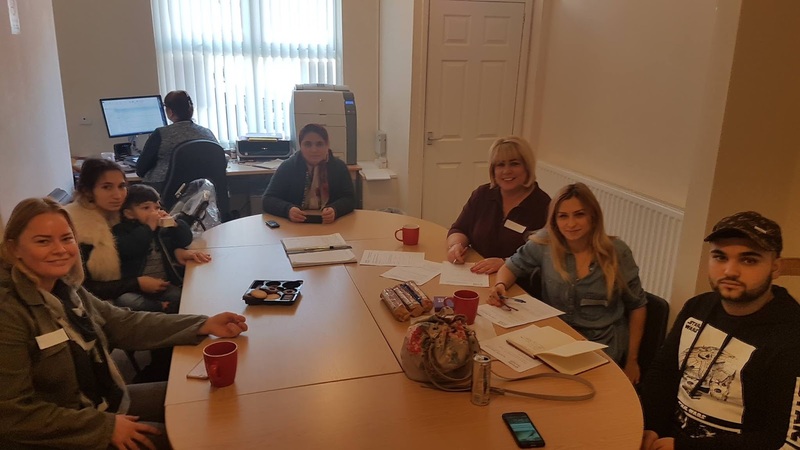 We decide after long involvement in the community with different activities and events that is time to receive back from the Roma community support and involvement in the projects about their integration. On 13 February we have the first meeting and we are pleased that a Roma family registered like volunteers - a woman with her daughter (19) and the son (18). They are glad that they can have this opportunity to be involve in our work and that we trust them. We chose to make every month a meeting in 45 Cullen Street, open for the new volunteers who wants to register and to discuss about future projects. 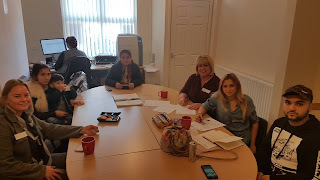 Is a good opportunity to work together with them, to improve the Community and to make a safe place for the Roma and Non-Roma to live. We are glad also that we have volunteers like Collette and her husband that they want to be involve in the activities about the Roma and to give a hand of help in different projects. Will be a team work and we will learn from each other’s. Is a good step to see that the Roma care about the community and they are pleased to work together with the Non-Roma.